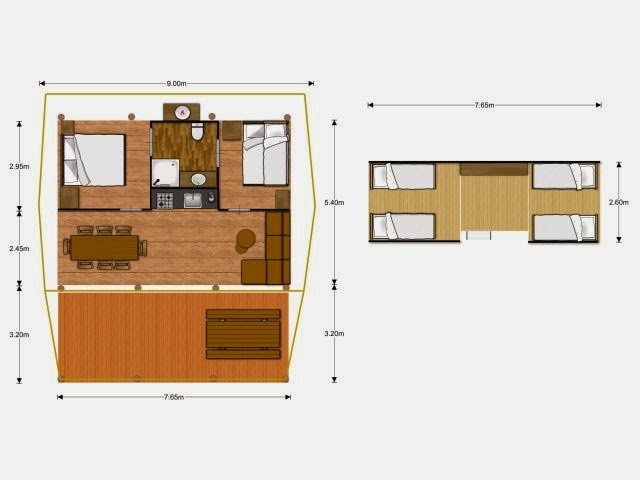 Camping Riu > Lodgings > Glamping > Glamping Lodge 8 pers. 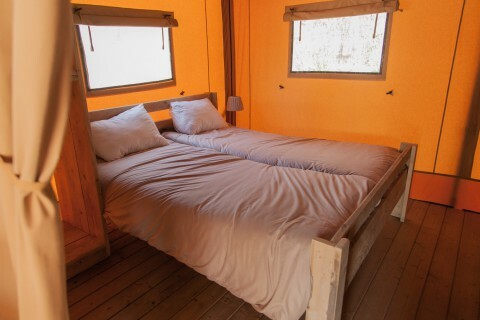 Bed linen and pillows included. 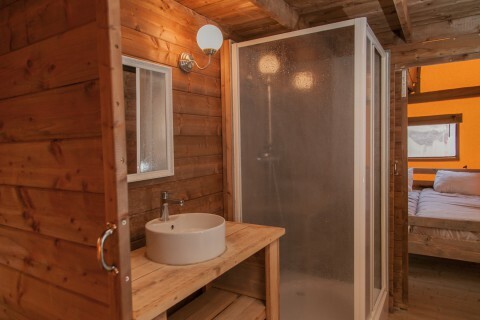 We offer you a accommodation through a world of unique and original accommodations. 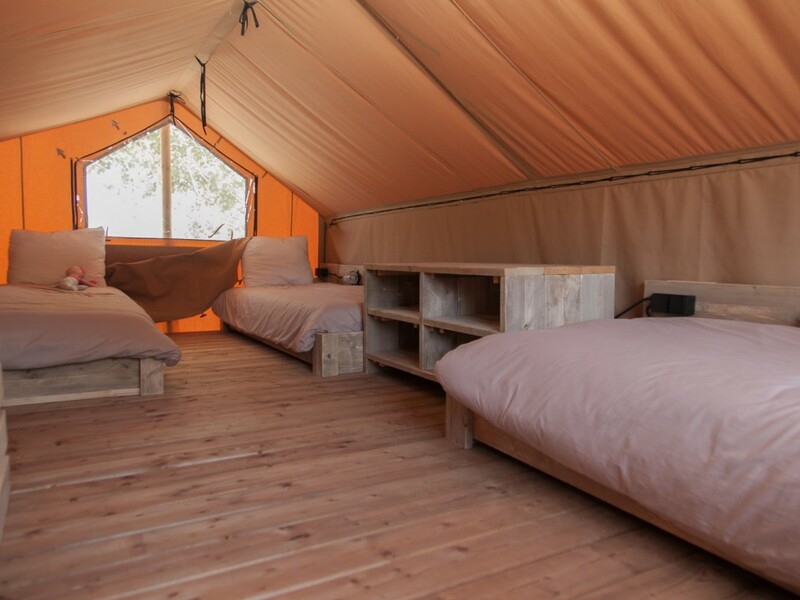 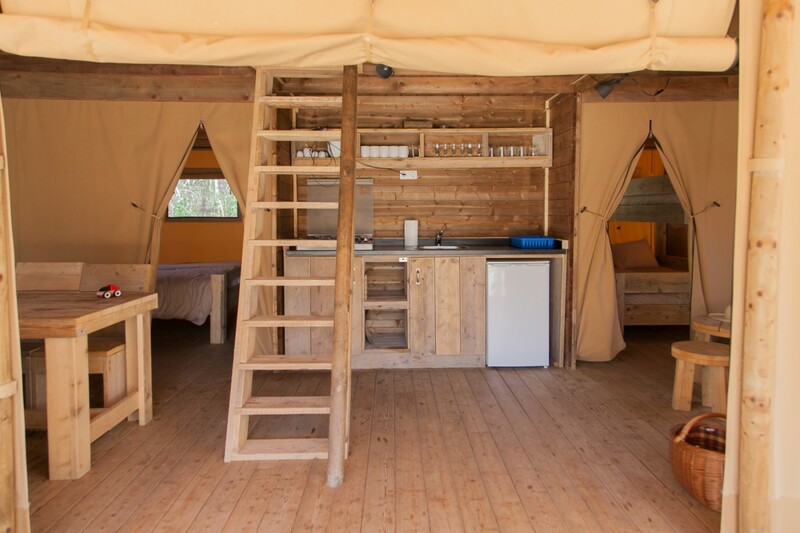 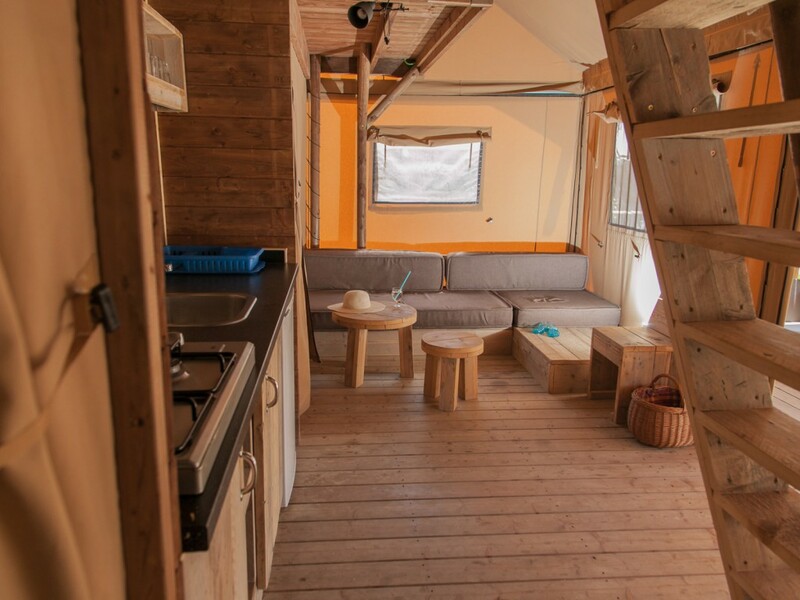 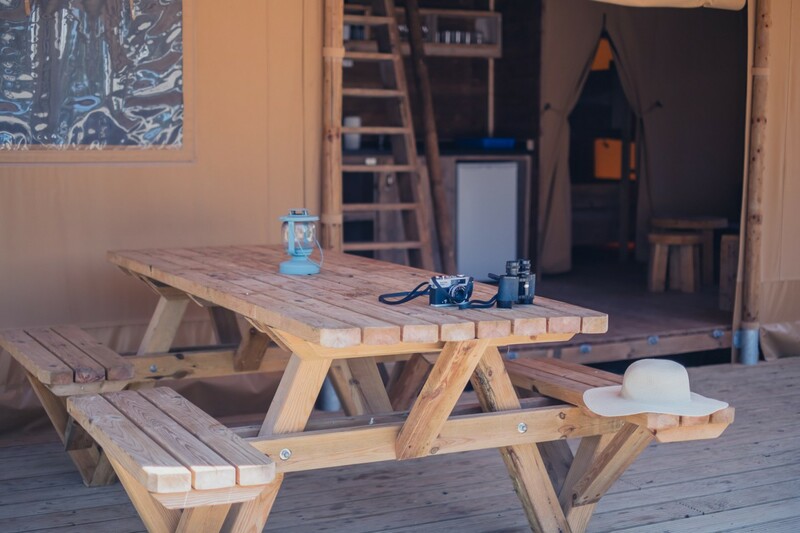 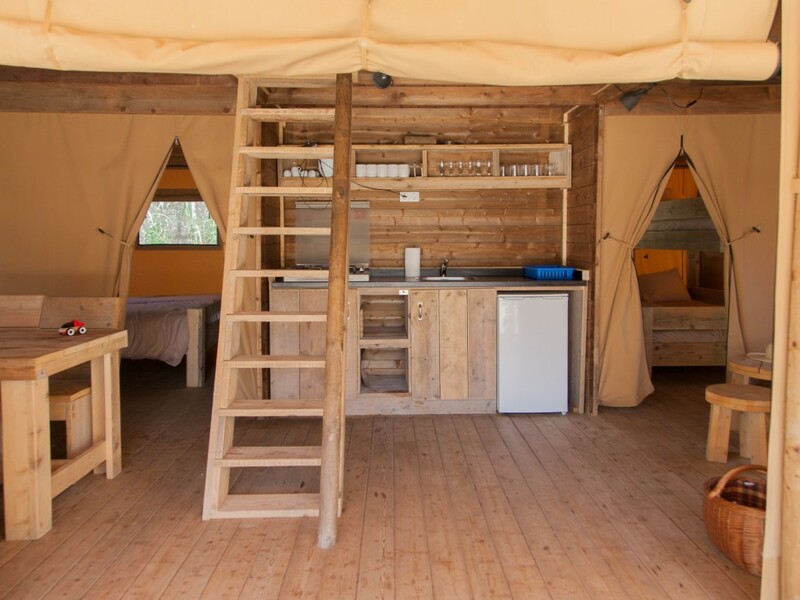 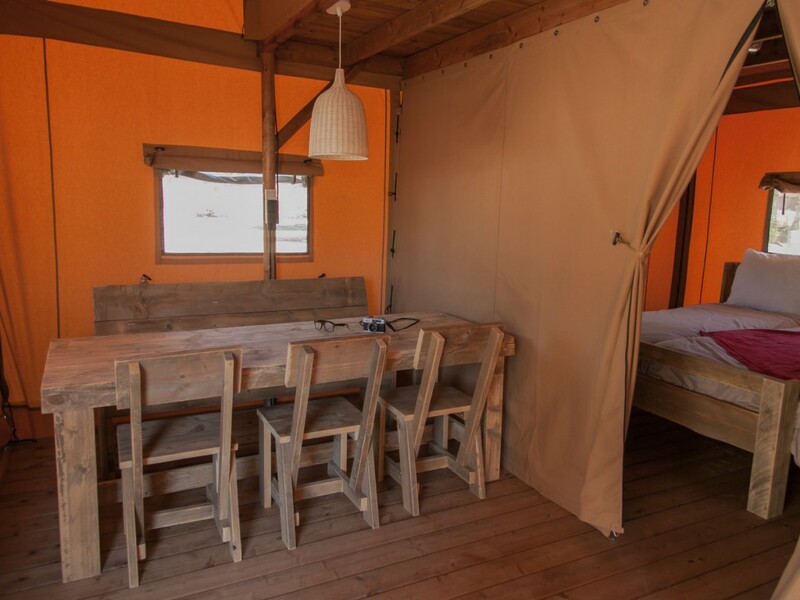 Natural environment of the Natural Park of Aiguamolls de l’Empordà wraps the Glamping zone. 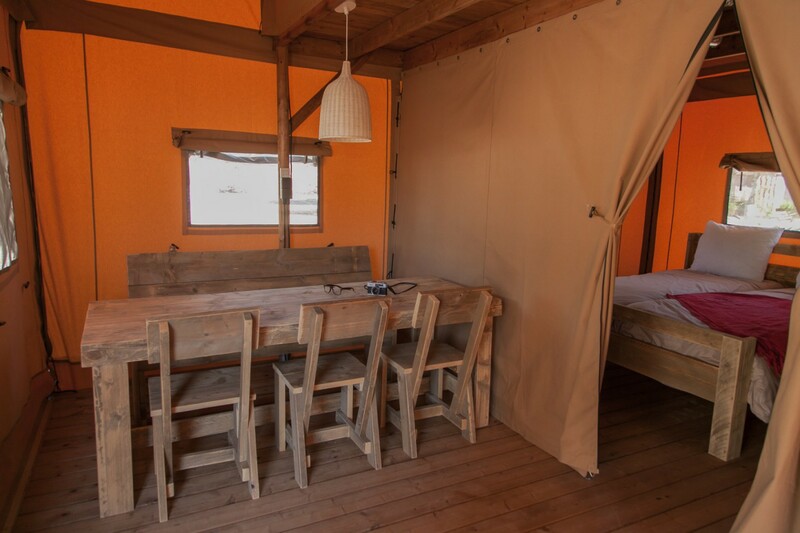 Now imagine living in a housing with wild character in an environment that reminds you the African savanna. 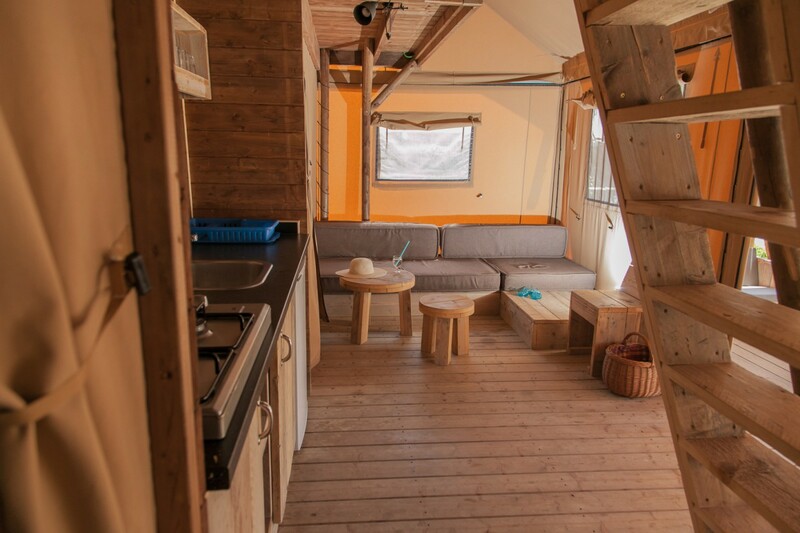 You will trigger the creativity … go away from asphalt and the typical accommodation. 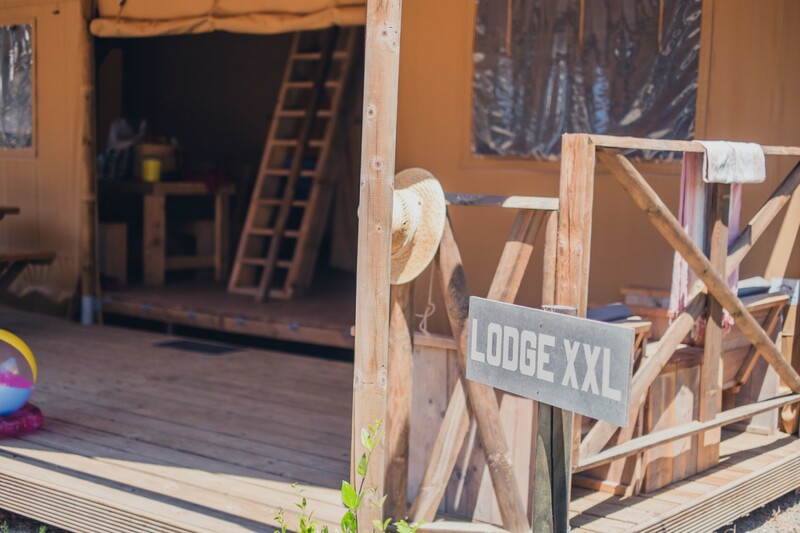 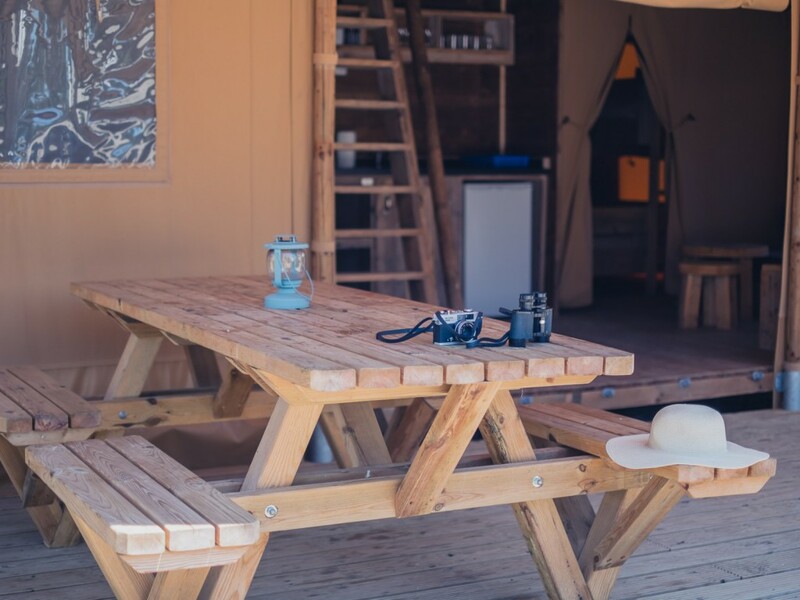 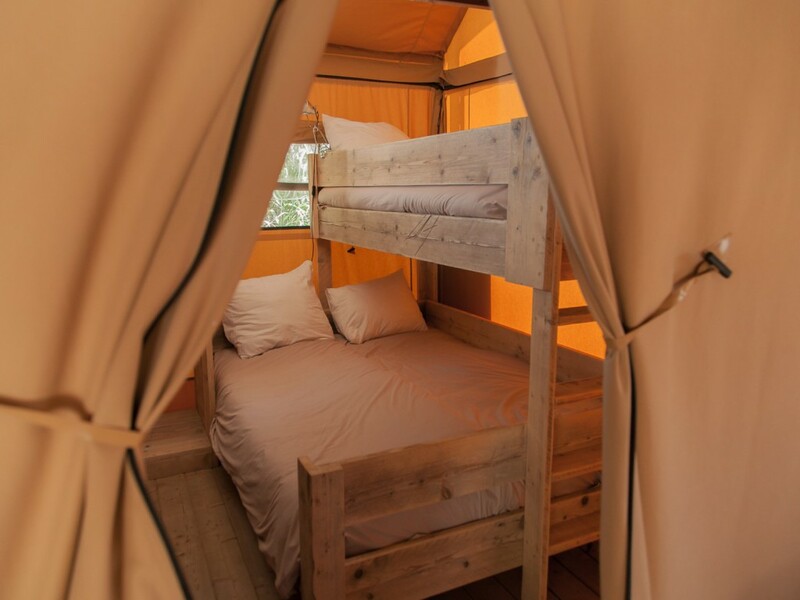 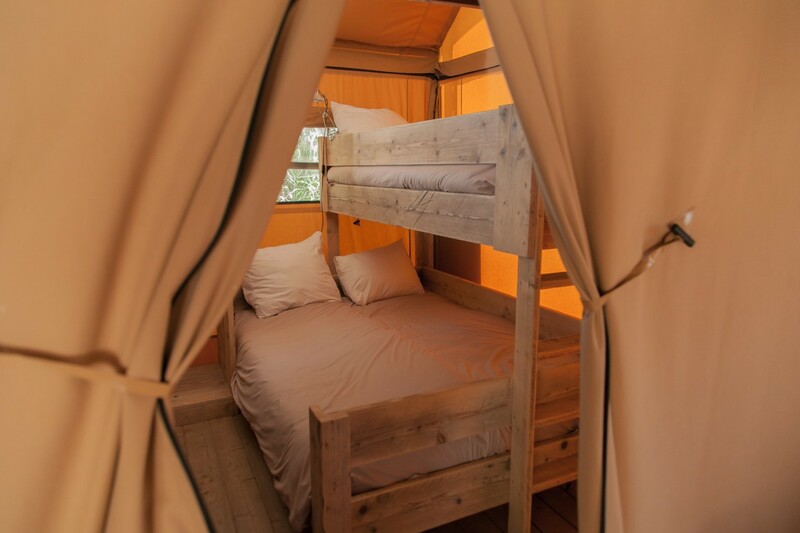 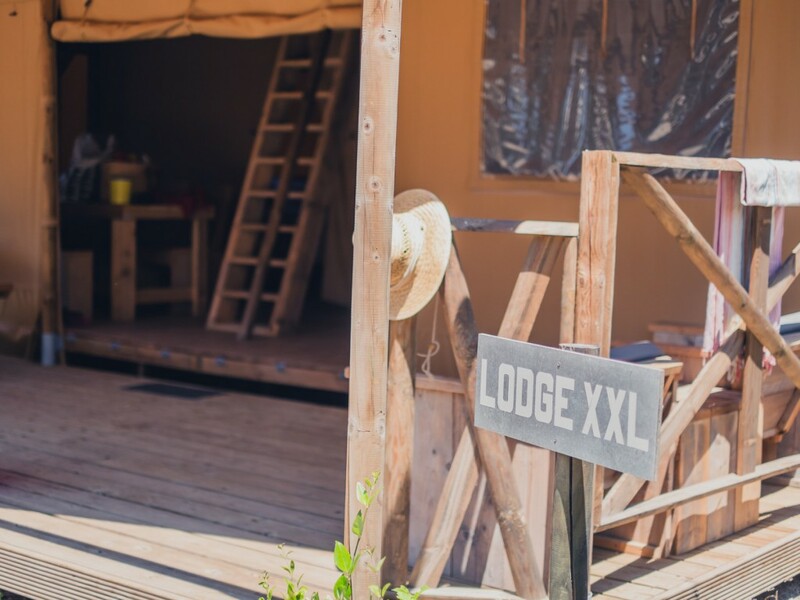 Open your world, and turn off the stress… Enter to another world, a world of Glamping. 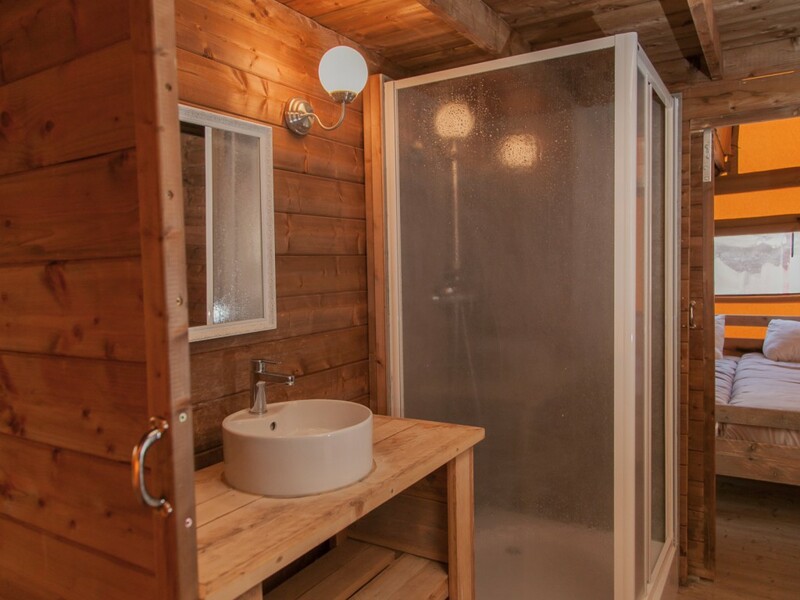 Book now your holiday with much glamour! Enjoy a spacious room with two separate bedrooms, one with double bed and one with 2 bunk beds. 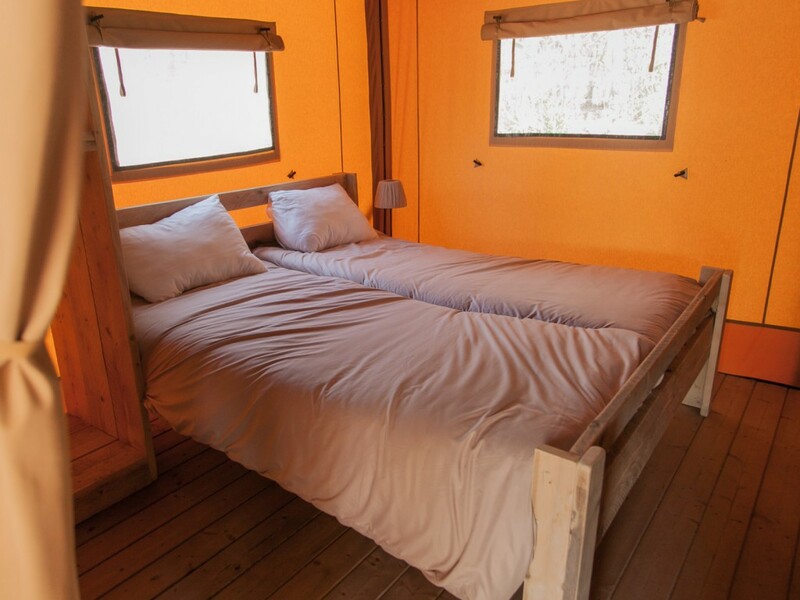 ¡Our mascot Seni will make you look a sunny smile!